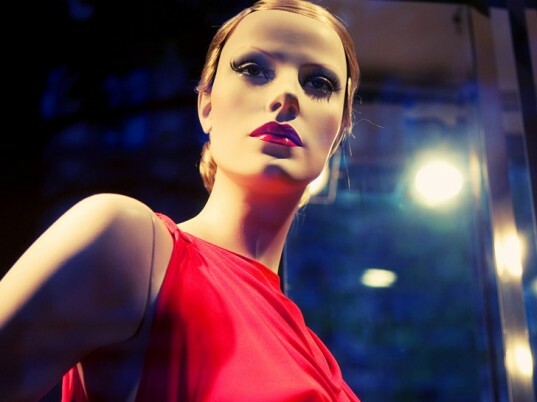 If you’ve ever suspected store mannequins of knowing more than they let on, it might not be just your imagination. 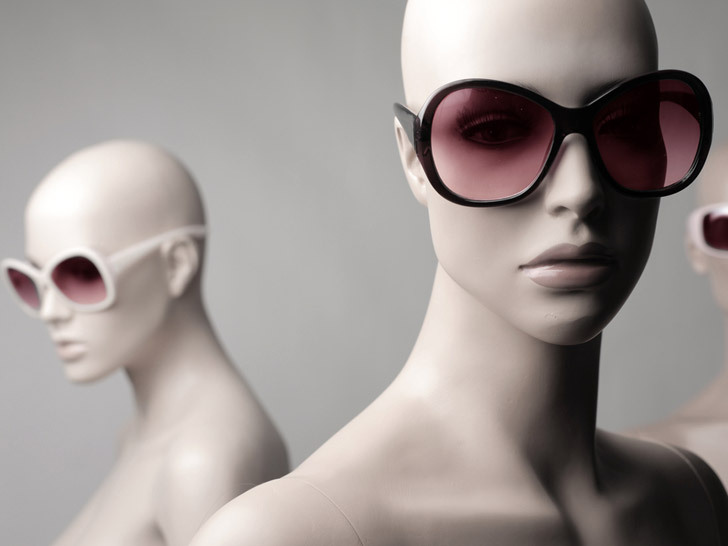 An Italian company known as Almax has developed a $5,000 bionic mannequin that employs the same type of facial-recognition software used to identify criminals in a crowd. Equipped with cameras in their eye sockets, the “EyeSee” dummies are designed to profile shoppers by age, gender, and race in much the same way online merchants do. The data, according to Almax, can help stores tailor their offerings, window displays, and even store layouts to appeal to their customer base and help boost sales. Our take? It’s more than a little creepy to have robots watch—not to mention record—your every move. From the outside, the EyeSee looks like every other dummy you’ve ever encountered, down to its frozen expression, dead-inside gaze, and hand-on-jutted-hip pose. Each ersatz human is made of recyclable, shockproof polystyrene and finished with water-based paints “in full respect of the environment,” according to Almax. The real reason the EyeSee is superior to overhead security cameras, however, is because it stands at eye level and “invites customer attention,” Max Catanese, the company’s CEO, told Bloomberg Businessweek. The EyeSee doesn’t store anyone’s image, but rather converts the streaming video into raw numbers for crunching. Using EyeSee, for instance, prompted one retailer to create a children’s clothing line after the dummy showed that kids made up more than half of its afternoon traffic. Another Almax customer posted Mandarin-speaking employees by one of its doors after it found that a third of its visitors using that entrance after 4 p.m. were of Chinese descent. You’d think that profiling customers without their consent would raise legal and ethical issues, but Almax insists that the technology processes the data without transmitting sensitive information that might cross boundaries of privacy. The EyeSee doesn’t store anyone’s image, but rather converts the streaming video into raw numbers for crunching. Not that the gray area couldn’t get even grayer, of course: The company is considering rigging the mannequins with listening devices or adding screens that show customers products relevant to their profiles, not unlike cookies and targeted ads on a website. Just don’t give the dummies artificial intelligence or moving limbs, please. We all know how that turns out.